Combine the carrot, celery, onion, bread crumbs, eggs, herbs, salt, and pepper in a medium bowl. Press about 1 1/2 tablespoons mixture between hands to form sixteen 2-inch patties, and place on a tray. Place a large nonstick skillet over medium-low heat. Coat with nonstick cooking spray. Place 8 patties in the skillet, and cook until golden brown, 3 to 4 minutes per side. Transfer to a serving platter. Repeat with remaining patties. 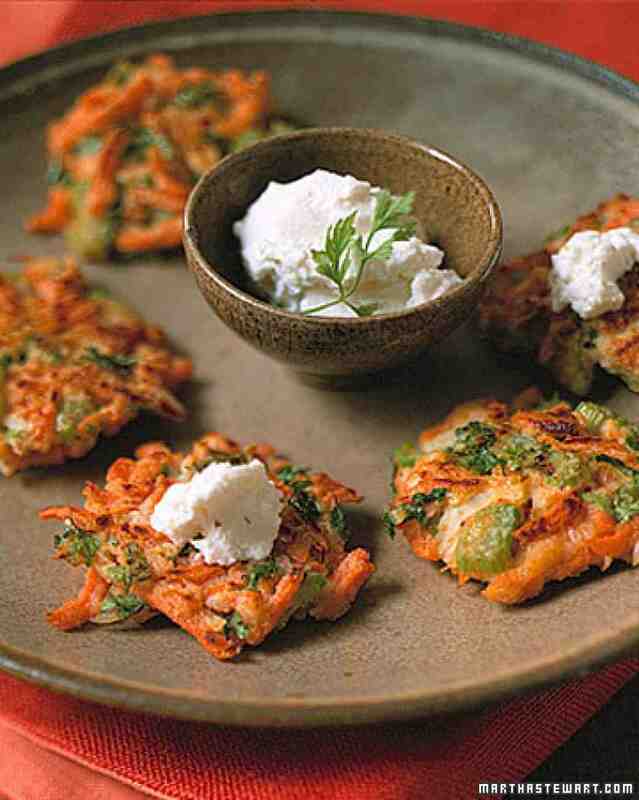 Serve each with a dollop of yogurt.